Do You Have Cute Pets? What Pets Can Do For You! Find cute pets on this page! I love animals! My Shetland Sheepdog dog, (shown right), is the joy of my life! Pets can make a difference in a human life. Not only do they give unconditional love, they can help improve your overall health! Health benefits include: physical, mental and emotional. Enhance your social skills. Discover the top five health benefits of owning a pet! Share your pet story and cute images! Pet care information and supplies! 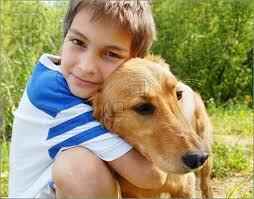 Pets give owners, of all ages, a sense of purpose. They provide love and companionship. They improve mood, combat loneliness and depression. This is especially helpful for the sick or elderly. Hospitals and nursing homes use “animal-assisted therapy, (AAT) or pet-facilitated therapy (PFT) on a regular basis, for patients in need. Psychotherapists use animals in treatment rooms to relax anxious patients. Dogs are a motivator for exercise! A research study, at the National Institute of Health, found that walking dogs reduces your risk of becoming obese. This study was conducted with over 2,000 adults. Lose or maintain a healthy weight. Most dogs need outdoor time several times a day. Walk outside with your dog. Your dog will love it and get exercise too! The Centers of Disease Control and Prevention, (CDC), and the National Institute of Health, (NIH), conducted heart-related studies on pet owners. Findings indicated: decrease in blood pressure, cholesterol and triglyceride levels. Reduce risk of a heart attack! Dog and cat owners, who had already experienced a heart attack, showed better recovery rates than non-pet owners. 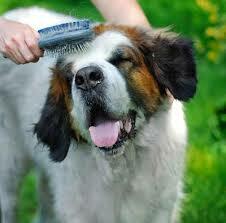 Research indicates this is probably due to the ability of pets to reduce or control their owners stress levels. 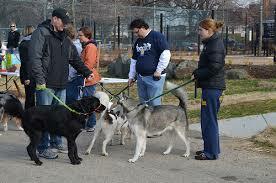 You can meet and interact with other pet owners, easier. Pets are great topic of conversation. Meet people and their pets at different locations including: training classes, dog parks, outdoor cafes and online social networking sites. Get to know other people. Share stories, pet care tips, new trends and more. You and your pet can make new friends! Pediatrician James E. Gern of the University of Wisconsin-Madison, conducted studies demonstrating a household pet can lower a child’s likelihood of developing related allergies, by 33%. His research, as published in the “Journal of Allergy and Clinical Immunology”, states children with an early exposure to animals tend to develop stronger immune systems overall. This is good news for those with children, considering having pets. PET SUPPLIES and COUPONS at AMAZON! 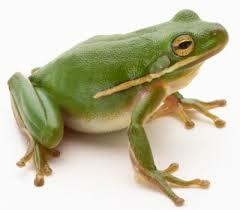 There are many cute pets in the world including: dogs, cats, horses, frogs, goats, turtles and more! Most people haven't heard of owning a pet goat. Goats can be lovable and fun companions. Baby goats are cute pets! Goats can be choosey eaters, more so than dogs. They won't eat wilted, smelly or dirty food. Goats can be trained to walk on a leash and pull carts. Whatever pet you own, it’s the love and companionship that matters. Most pets enjoy being around people or other pets. Loneliness is, usually, not a good thing. Pets can become depressed, just like people. Love your pet. Share time with them. Your love will return to you, exponentially! Most pet owners have a story to tell. I could tell you many stories about my Sheltie dog, Data. Here, you’ll have a chance to share your story and cute images too! We’d love to hear from you! Follow instructions below. Do you have cute pets? Share your story? We'd love to hear from you! Just a few paragraphs or more will be fine! Topics to consider: Funny? Scary? First Pet? Training Pet? Playing? There are endless topics to write about! If you'd like, you can upload your pet pictures too! Share your cute images! Your story will appear as a web page on this website, the way you enter it here. Then click on the link if you want to upload up to 3 more cute images.